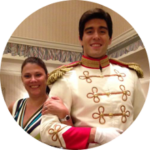 As Disney fans, we know that change at the parks is inevitable, but that doesn’t mean we have to like it. With so many changes going on at both Disneyland and Walt Disney World, this series is dedicated to the rides and attractions that are gone but not forgotten. Up first we will focus on a fan favorite. 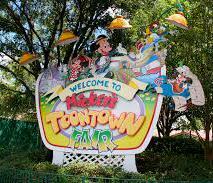 Mickey’s Toontown Fair opened in the Magic Kingdom in 1988 and was initially called Mickey’s Birthdayland. The name changed a few times over the years, from Mickey’s Starland to Mickey’s Toyland, and after a major refurbishment in 1996 it was reopened as Mickey’s Toontown Fair for the 25th anniversary of WDW. The story behind the area is that it is was the holiday homes for the characters who reside at Mickey’s Toontown located at Disneyland. To make way for the new Fantasyland, Mickey’s Toontown Fair was closed in 2011. Although some of the elements remain and are re-named or have moved, most were demolished. The remaining attractions are Dumbo the Flying Elephant, which was moved, and the Barnstormer at Goofy’s Wiseacre Farm, is now the Barnstormer featuring Goofy as the Great Goofini. What was your favorite part of Mickey’s Toontown Fair?